First we need to define interfaces used for accepting published Icecast stream. 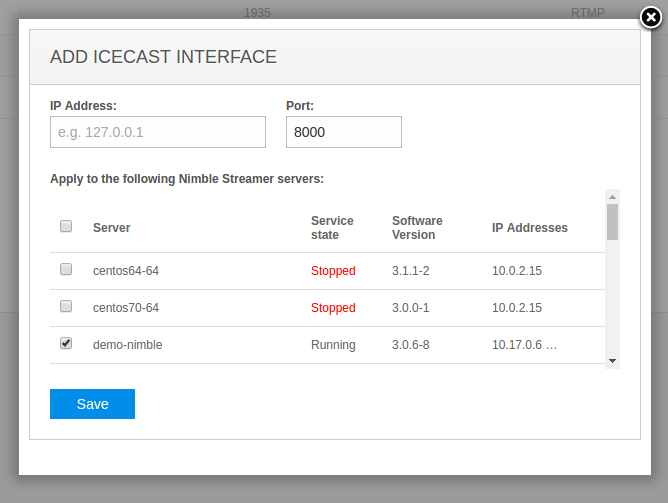 Go to Nimble Streamer -> Live streams settings, choose your server from the drop down list and click on Interfaces tab. 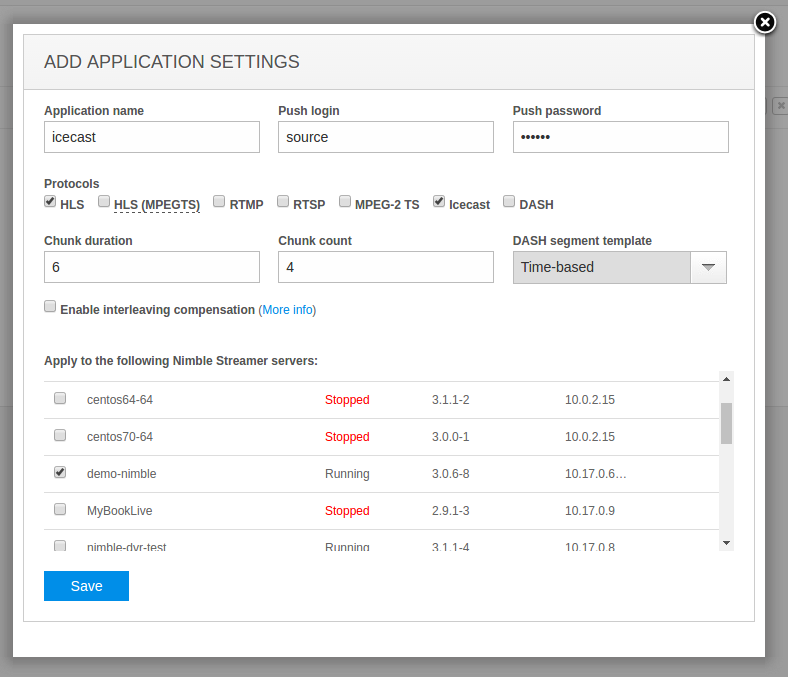 Now click on Add Icecast interface to see dialog as shown below. Add IP Address and Port here. Usually it's 8000 port and you may keep IP Address field blank if you need all IP addresses to be listened. Now click on Applications tab to see the list of existing apps. Then click on Add application settings to define new app. Here the application name will be "icecast", as defined in the configs. The login is "source" and password as "secret" - same as in configs. Save settings to apply them to your servers. Now the published Icecast stream will be available for playback or other actions within a few seconds once the settings are applied to the server. Now go to Nimble Streamer -> Live Streams menu to see the appeared incoming stream and then switch to Outgoing streams to see the result output. There you will be able to try playback and get the output stream URL for your further usage, as described in this article.